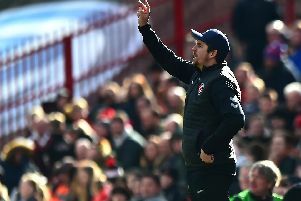 Fleetwood Town have as yet had no contact from South Yorkshire Police and head coach Joey Barton has not been asked to aid enquiries into an alleged assault on Barnsley boss Daniel Stendel after the 4-2 defeat at Oakwell. The police confirmed they are investigating allegations of an assault in the tunnel after Saturday's League One clash. Stendel sustained facial injuries, though reports in the national media suggesting he lost teeth have not yet been confirmed. When approached by The Gazette, the police confirmed they are investigating an 'incident' in the tunnel but said no arrests had been made. Video footage captured by Sky cameras showed Barton walking to Town chief executive Steve Curwood's car outside the ground and a female police officer preventing the vehicle from exiting Oakwell. The Gazette understands that officer did not speak to Barton, who was not asked to leave the vehicle. The officer checked whether Barton was needed for questioning and moments later Curwood was allowed to drive out of the ground with Barton. The police are expected to approach Fleetwood Town next week as part of their enquiries. The Gazette understands that the club and Barton have as yet had no contact from the police, though reports in the national media have claimed otherwise. The police would not confirm whether they had spoken to Barton. Fleetwood Town initially declined to comment but released a statement after South Yorkshire Police confirmed they were investigating the allegations. The club statement reads: "Fleetwood Town have been made aware of an alleged incident following Saturday’s game against Barnsley. We are currently establishing the facts and will not make any further comment at this time." Town have had no contact from Barnsley since the incident. Tykes goalscorer Cauley Woodrow took to social media after the game to claim Barton had left Stendel bloodied but later deleted the tweet. A Barnsley club statement reads: "The club can confirm there was an alleged incident in the tunnel area that took place following the conclusion of today’s match, which South Yorkshire police are currently investigating. EFL chief executive Shaun Harvey also promised that his organisation would help with the investigations.